As a team, there is nothing you two can’t achieve. But you can’t achieve your goals as a couple when you don’t know what your goals are, what steps you want to take to achieve them, and which ones are of the highest priority. So we invite you to start a “Weekly Family Meeting.” This ‘Weekly Family Meeting’ will create the experience of being a true team with a game plan. You need to pause frequently and take inventory of our fulfilment as a couple. When you sit down for this weekly family meeting, you can proactively notice if there is something out of alignment in your lives together. For example, you might proactively discover that one or both of you is feeling like you would desire more frequent quality time for intimacy before it becomes months without that being communicated. Or you might discover that one of you is feeling like there hasn’t been enough time put aside for getting together with friends (before you become resentful or resigned). 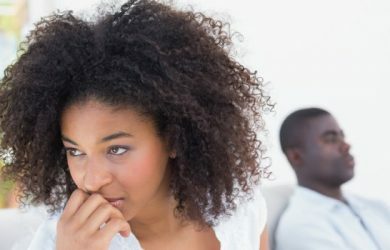 Or even deeper things like learning that you feel disconnected in emotional intimacy and communication before it grows to be a true rift in your partnership. A weekly family meeting has the potential to save some marriages, as well as support motivated couples in creating united goals together. Are you feeling the power of this meeting? Here’s how to do a ‘Weekly Family Meeting’ Right now, put the time in your calendar preferably on the same day each week. Sit down with a notebook where you take notes each meeting. Don’t make any assumptions that you don’t have ways to improve that area of life. These can include finances, health, spirituality, communication, intimacy, leisure, career, etc. Write out your intention/goal in each area regardless of the score for each. Bring additional awareness and intention to the areas where either person scored less than a 7 in satisfaction. Put the Family Meeting Worksheet in an area that is visible so you take action on them. Place any calendar reminders or activities that are applicable. Continue each week and watch how many goals you achieve together while feeling fulfilled and connected! Share with us what goals you achieve over time using this incredible tool called, the Family Meeting Worksheet. Block your weekly family meeting off like it’s a doctor’s appointment and treat it with the same respect to show up. Jocelyn & Aaron Freeman are authors of The New Power Couple, speakers, coaches and angel investors. 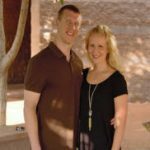 They have shared the stage with Tony Robbins, were nominated as Arizona’s 40 Under 40 Influencers, and have been featured in national media for mentoring couples & individuals on fulfilling their dreams & living in their full potential.They also host one of the top relationship podcasts on iTunes and lead two thriving companies. They are passionate about investing in socially conscious businesses and one of the companies they invested in was featured on an ABC Show, Shark Tank this summer. They have been trained as leadership & relationship coaches, are ordained, & speak around the world in their mission to reach one million people to have thriving relationships at home & in business.